The award is the culmination of a substantial journey undertaken by the school. 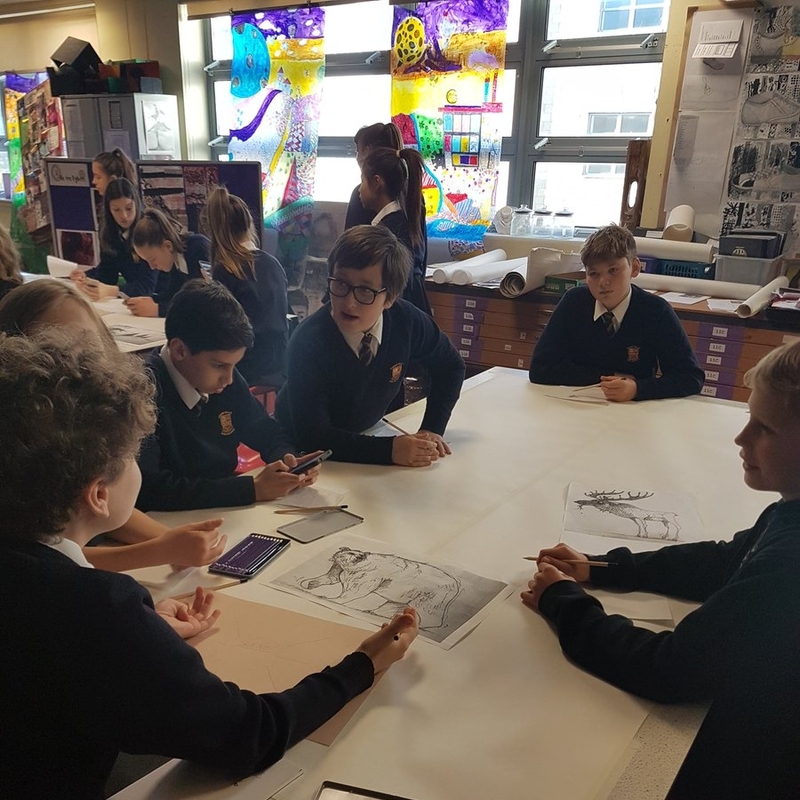 Ryburn students all have a wealth of opportunities to experience quality arts activities, continually developing their skills and understanding, and many taking an active lead in Arts Development in the school. Being in the creative hotspot of Calder Valley has allowed our school to make the most of links with local artists and the wider community, from performing at Arts Festivals to collaboration with professional artists, giving students the chance to see the economic and employment opportunities in the cultural sector. - Comments from Artsmark Panel. 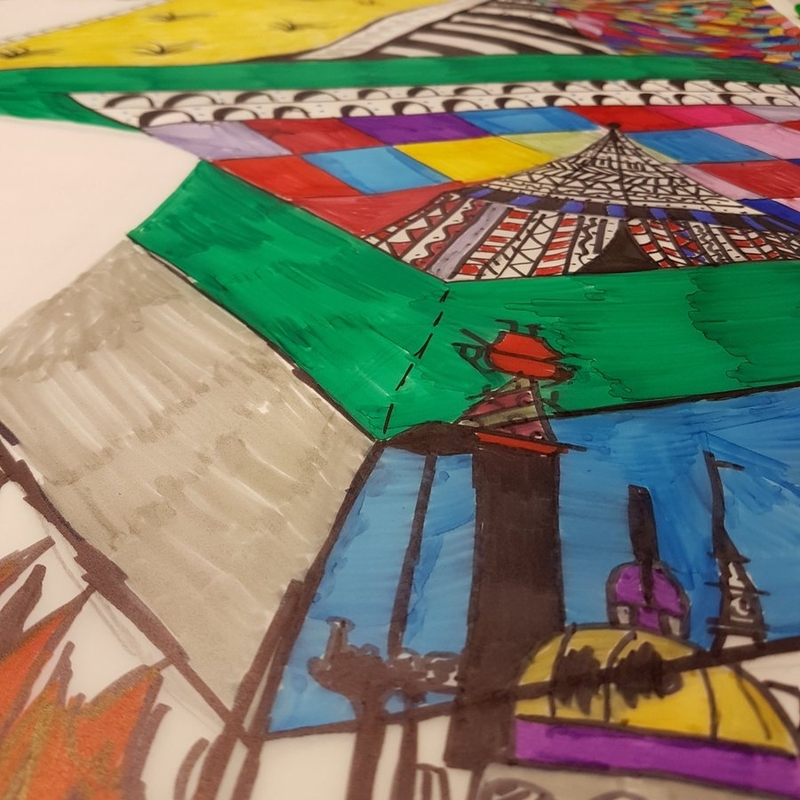 The photographs in this post all show the artworks created for the Piece Hall in Halifax by Ryburn students working with artist Frank Darnley and inspired by Chris Mould. Our students also led a workshop with students at St Mary's Primary School to create their own window illuminations. All of these are displayed as window illuminations until 10 December.